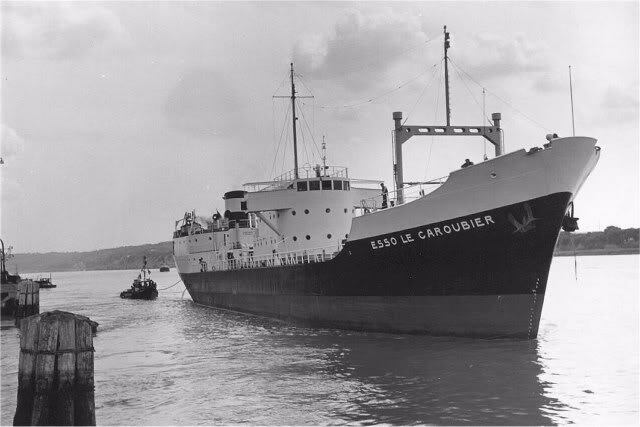 Asphlat-tanker "Esso le Caroubier" was build in 1952. 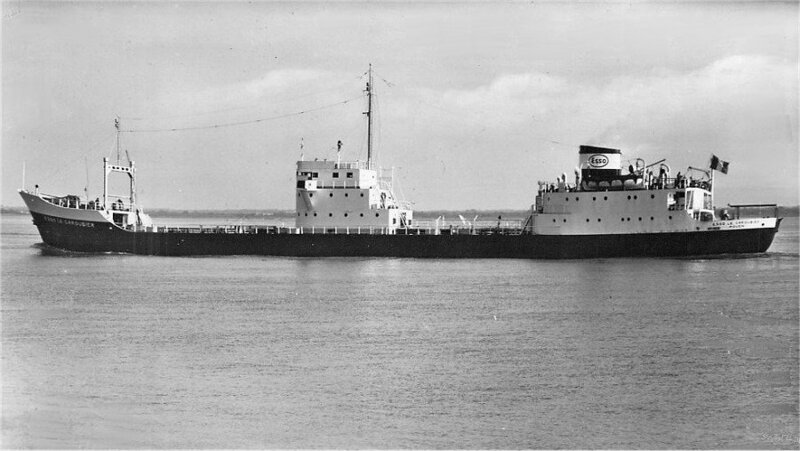 Renamed as "Esso Calor" in 1968. Sold in 1973. Scrapped in 1982. 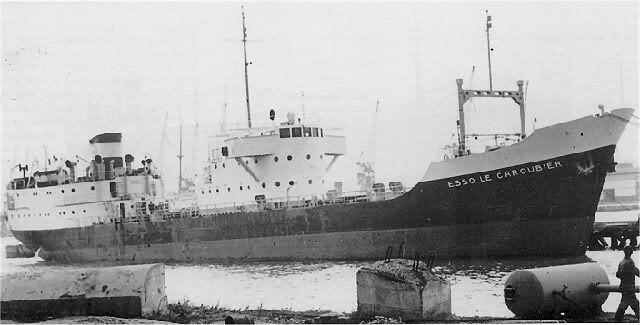 The Miramar Ship Index for "ESSO LE CAROUBIER"
Danaos Sg & Tdg Corp.
ESSO LE CAROUBIER (1952-1958) F.N.X.Y. 2325 g. 1089 n. 2731 d.; 92.75 oa-89.20 pp x 12.80 x 7.00 meters (4.94 draught). 8 Cyl. 4S.C.SA. oil engine by N.V. Werkspoor, Amsterdam. 10.5 knots. 31.03.1952 : and 1952 : completed by Scheeps. v.d. Werf (244), Deest as ESSO LE CAROUBIER for Esso-Standard SAF, Rouen. 1968 : sold to Esso-Transport Co. Inc., Panama and renamed ESSO CALOR. 19.09.1971 : laid up at Singapore with damage after collision. 1973 : sold to Danaos Shipping & Trading Corp. S.A. (Latsis Group) Greece and renamed PETRO ASPHALT II. Prior lo 1979 : deleted from registers.